Ayurveda is an ancient system of health care that developed in India several thousand years ago. Allied with the spiritual philosophy of Hinduism, Ayurveda is a practical and inclusive system of health care orientated to the prevention and treatment of disease through the observation of important principles found in biological systems. This unique one-of-a-kind book is a comprehensive introduction to the theory and practice of Ayurveda, and discusses the practical use of therapies such as diet, exercise, yoga, meditation, massage, and herbal remedies. The book also includes detailed information on Ayurvedic pharmacology and pharmacy, clinical methods and examinations, and general treatment protocols. The final section provides a comprehensive materia medica of 50 Indian herbs that include botanical descriptions, traditional Ayurvedic knowledge, constituent data and latest medical research, as well as clinical indications, formulations and dosages. > Helpful full-color insert containing photos of the 50 herbs covered, alongside a ruler for scale, allows the reader to quickly identify herbs correctly. 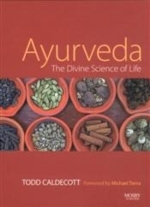 > Includes useful appendices, including information on dietary and lifestyle regimens, Ayurvedic formulations, Ayurvedic weights and measures, glossaries on Ayurvedic terms, and medical substances. > Unique contributions include a discussion of pathology, clinical methods, diagnostic techniques, and treatment methods from an Ayurvedic perspective.